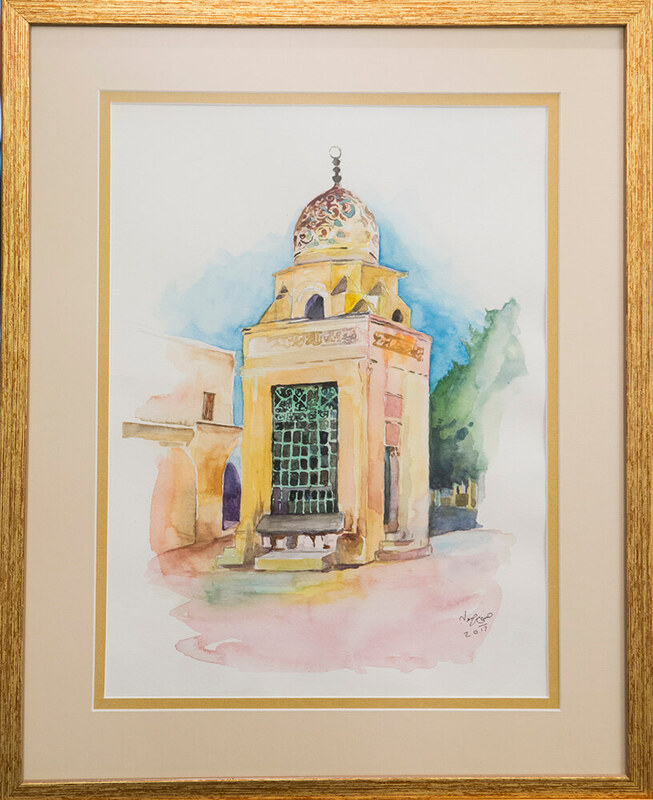 An original watercolour of one of Jerusalem’s most famous and spectacular water fountains (sabil) built in the grounds of the al-Aqsa Mosque. Its dome is typical of the late Mamluk period, particularly Cairene architecture, and is the only example of Mamluk Egyptian art outside Cairo. The work of renowned artist Hosni Radwan spans more than 30 years of production and demonstrates impressive sketching skills and the use of a variety of mediums. Born in Baghdad, he studied at the College of Fine Art in Baghdad. He has participated in numerous international exhibitions and his new works are always eagerly awaited by collectors. We are delighted to offer a series of watercolours of Jerusalem painted by Hosni exclusively for the Levantine Gallery.